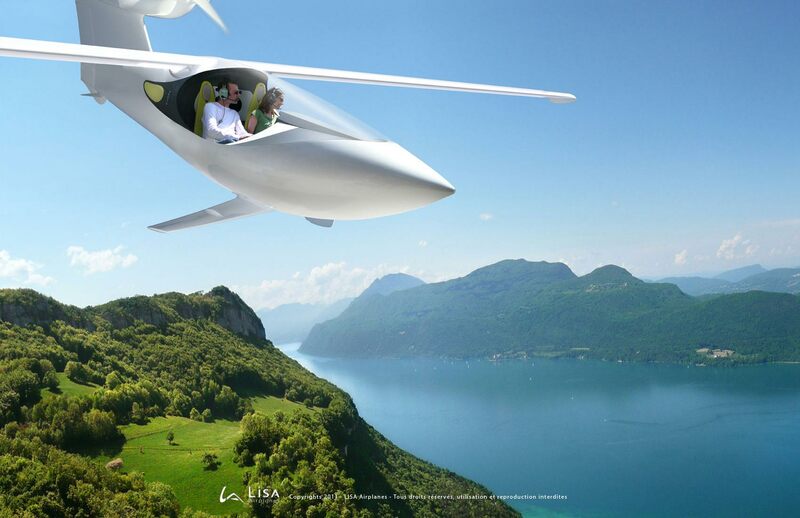 The Akoya two seater amphibious plane from Lisa Airplanes is entirely made of composite materials and combines ultra-light carbon and metal elements such as titanium and high performance aluminium. The Akoya has been designed to take off and land on both water and snow, with Lisa’s patented Seafoils the two underwater fins allow the aircraft to lift the fuselage out of the water and provide stability and comfort during take-off acceleration and when landing in the wet stuff. Compared with traditional amphibious planes, the AKOYA has neither float, hull, nor step, and this feature considerably improves aerodynamics and flight performance. Landing and taking off from snow is handled with ski’s which are integrated into the landing gear and fit inside the fuselage during flights, these ski’s allow take off and landing on snowy surfaces. Placed midway up the wheels the Skis-in allow the aircraft to move from snow to a dry surface with no change to the landing gear.